The Wayfair Decision – What is it and What Does it Mean for Illinois? Tax nerds all over the country got a rare treat last month, when the United States Supreme Court decided a major state tax case. South Dakota v. Wayfair, Inc. (585 U.S. ____, Docket No. 17-494) drew the attention of not only tax-oriented publications, but traditional press as well. The decision was exciting for a number of reasons: the Court seldom addresses state tax issues; long-standing precedent was overturned; and now there are new questions to answer. In Illinois, we too will be pondering and debating the consequences of the Wayfair decision, probably for years to come. For many years (the past 51, to be exact), there has been one absolute in the frequently ambiguous world of state and local taxes: a seller had to have a physical presence in a state before it could be forced to collect that state’s sales tax. This “physical presence nexus” requirement was first articulated by the United States Supreme Court in 1967, in National Bellas Hess, Inc. v. Department of Revenue of Illinois, 386 U.S. 753 (1967). In 1992, the Court reiterated the requirement, in Quill Corp. v. North Dakota, 504 U.S. 498 (1992). National Bellas Hess and Quill dealt with mail order sales, and pre-dated the advent and subsequent explosion of e-commerce. Although customers still owe the tax even if the seller does not collect it, compliance in the form of self-assessment has always been spotty to nonexistent, so the amount of taxes due but uncollected and unpaid has grown dramatically. The exact amount is unknown, of course, and estimates vary widely. In a report issued in November 2017, the US General Accounting Office estimated the lost state and local tax revenues in Illinois from untaxed ecommerce ranged from $383 million to $626 million per year. Dr. Natalie Davila, former Director of Research for the Illinois Department of Revenue, has estimated the 2016 state revenue loss to be roughly $215 million and the local revenue loss to be another $54 million. After the Quill decision, many states and brick-and-mortar retailers (who were losing market share to their online competitors due in part, at least, to the price differential from the uncollected taxes) tried various approaches to effectively overturn Quill, either by simplifying sales and use tax collection to the point where the complexities of collecting taxes in the plethora of jurisdictions around the country cited as unduly burdensome in Quill were no longer an issue (see “What is Streamlining?” at the bottom of the page), or through Congressional action (See, for example, the Marketplace Fairness Act of 2017, S.976, or its predecessor bills, including a 2013 version that passed the Senate). Over the course of 25 years, these efforts made some headway, but encountered various roadblocks. Encouraged by a declaration that it was time for the Court to revisit Quill by Justice Kennedy in his concurring opinion in Direct Marketing Association v. Brohl, 135 S. Ct. 1124, 1135 (2015), several states adopted aggressive statutes or policies, abandoning physical presence nexus. Interestingly, this is very similar to what happened in the years before the Quill decision—states were frustrated by the physical presence standard articulated in National Bellas Hess and decided it was time for a change. This time around, it was a challenge to South Dakota’s new statute that became the test case. The Court acknowledged that the complexity of state taxes can be a burden, particularly to small sellers, but pointed to three ways that the South Dakota statute, the one at issue in the case, provided “small merchants a reasonable degree of protection”: it did not require tax collection unless the seller did a “considerable amount of business in the State”; it was not retroactive; and South Dakota is a party to the Streamlined Sales and Use Tax Agreement. The Court also pointed out that other aspects of the Court’s Commerce Clause doctrine (not raised in the lower courts so not addressed in the decision) could also protect against any undue burden on interstate commerce. See “Commerce Clause 101” on the bottom of the page. The case was remanded—sent back—to the lower courts, and although the Court stated that “some other principle in the Court’s Commerce Clause doctrine might invalidate the [South Dakota] Act,” it expressed a fair amount of skepticism that any other challenge could be successful, reiterating the 3 points made earlier: a sales threshold exempts small sellers from the tax collection requirement; the new law was not retroactive; and South Dakota is a “Streamlined” state. The concurring and dissenting opinions provided some interesting insights. Justice Thomas expressed regret that he had not joined in the dissent in Quill. Justice Gorsuch agreed that “judges have no authority to construct a discriminatory tax shelter” (but warned he might not always join the majority in other Commerce Clause matters). Justice Roberts wrote the dissent, joined by Justices Beyer, Sotomayor, and Kagan, agreeing that “Bellas Hess was wrongly decided,” but maintaining that Congress, rather than the Court, should correct the error. “Sales tax” is the term generally used to describe a number of transaction taxes. In Illinois, for example, we have the Retailers’ Occupation Tax (“ROT”), the Use Tax, the Service Occupation Tax, the Service Use Tax, and a host of state-authorized and -administered local Occupation Taxes. Previous issues of Tax Facts have addressed the distinctions between the ROT and Use Tax, most recently in October of 2017. Essentially, the ROT is imposed, as its name suggests, on a retailer for the privilege of making sales in the state, and is due on sales consummated within the state. In addition to the state-level ROT (at 6.25%), many local governments (cities, counties, etc.) are authorized by statute to impose their own ROTs to add to the state tax, meaning the total sales tax rate on a transaction occurring in some communities can exceed 10%. All states that impose a sales tax (including Illinois’ ROT) also impose a use tax, which requires consumers to pay tax on goods that would otherwise have been subject to sales tax/ROT but were purchased outside the state for in-state consumption. If the retailer does not collect the tax, it is still due. As stated above, compliance with the legal obligation to calculate and remit tax by individual consumers when the retailer does not collect it is low. What Does This Mean For Illinois? Illinois revised its statutes in anticipation of the Wayfair decision. In the FY19 Budget Implementation Act passed in May of this year (Public Act 100-587), the definition of the term “retailer maintaining a place of business in this State” (and therefore required to collect Illinois use tax) was amended to include retailers with sales to Illinois customers either totaling $100,000 or 200 separate sales during the course of a 12-month period. This new nexus standard, identical to that upheld by the Supreme Court in Wayfair, goes into effect October 1, 2018. The budget passed by the General Assembly for the fiscal year ending June 30, 2019 included $150 million in new state tax revenue attributable to this new provision. Once the dust settles, and assuming the new nexus standard survives any challenges, Wayfair means Illinois state and local governments will see additional revenue—not a new tax or a tax increase, but the tax that has always been due but in the past has gone uncollected. The first question, of course, is whether Illinois’ new standard will be considered constitutional, but that is only the first of many. The saga of the Wayfair case itself is not quite complete. The Supreme Court decision was limited to the issue before it: should the physical presence standard of Quill remain. As described above, the case was remanded to the lower courts, where the parties could raise other issues challenging South Dakota’s nexus statute. The Wayfair opinion suggested the Court did not expect any such challenges to succeed, but until the parties settle or further appeals are exhausted, there is a chance that there will be more to tell in the Wayfair story. A more relevant question for us in Illinois, of course, is whether our new statute and overall sales tax landscape, like South Dakota’s, meets the Constitutional requirements. Does Wayfair apply in Illinois? The General Assembly believed it would, given the revisions to our statute and the associated revenue assumptions, but the answer to the question is not certain. For example, our nexus statute itself is identical to South Dakota’s statute challenged in Wayfair, with the same triggering levels of sales. Illinois is a much bigger state; should the thresholds be higher, reflecting the larger market? Probably not, but the thresholds in South Dakota’s nexus statute were only one of the protections cited by the Court. Illinois, like South Dakota, is not applying its new statute retroactively, but it is the third protection that could be the most problematic. The Court twice cited approvingly the fact that South Dakota is a party to the Streamlined Sales and Use Tax Agreement (the “SSTA”, or “Agreement”). Illinois, however, is not a “Streamlined” state. Whether or not that, in and of itself, is enough to prevent Illinois from relying on Wayfair is unclear. If our taxing structure contained most of the elements of the SSTA, would that be enough? And which ones? The Court referred to several aspects of the Agreement in particular: “It requires a single, state level tax administration, uniform definitions of products and services, simplified tax rate structures, and other uniform rules. It also provides sellers access to sales tax administration software paid for by the State. Sellers who choose to use such software are immune from audit liabilities.” These statements were dicta—they weren’t strictly related to the narrow decision overturning Quill’s bright-line physical presence nexus standard—but they suggest the kinds of things the Court considers relevant in determining whether a state has adequately minimized the burden out-of-state sellers face when collecting tax throughout the country. How does Illinois measure up? “A single state-level tax administration.” Illinois allows certain local governments to impose an ROT, and many do, but there are no local use taxes (other than Chicago’s, which is not collected by sellers). In other words, retailers selling online to Illinois customers anywhere in the State collect use tax at the same 6.25% rate. The state and local ROTs and the state-wide Use Tax are all administered by the Illinois Department of Revenue. Illinois arguably is aligned with this aspect of the Agreement, even though we are not a party to it. “Uniform definitions of products and services.” One odd quirk of Illinois’ tax definitions warranted a special mention in Justice Roberts’ Wayfair dissent: “Illinois categorizes Twix and Snickers bars—chocolate-and-caramel confections usually displayed side-by-side in the candy aisle—as food and candy, respectively (Twix have flour; Snickers don’t), and taxes them differently.” Most of Illinois’ definitions (including, interestingly, the food and candy definitions) are identical to those required of Streamlined states—will that be close enough? “Simplified rate structures and other uniform rules.” Illinois was originally a participating state in the Streamlined Sales & Use Tax Project that ultimately led to the SSTA, so many of the simplified and uniform rules are already in place. We don’t how a court would view the remaining differences—Illinois’ unusual treatment of leases, for example. “Sales tax administration software paid for by the State,” and sellers using the software “are immune from audit liabilities.” Illinois has no such software program currently. If Illinois wishes to become a “streamlined state”, either because a post-Wayfair court rules it is necessary before imposing remote seller collection requirements, or because the General Assembly decides it would be best to align our laws as closely as possible with South Dakota’s, law-changes would be required. A number of groups worked on various projects analyzing what would be necessary for Illinois to join the SSTA, but even the most recent of those is now over a decade old, and both Illinois law and the requirements for becoming a party to the Agreement have changed. Some local governments in Illinois are already suggesting they should not be limited merely to their share of the state’s use tax rate but should instead be allowed to collect their additional taxes. Efforts to allow local governments to impose, and then force retailers to collect, local use taxes could create additional differences between Illinois’ tax structure and that blessed by the Court in Wayfair—would that new level of complexity be enough to push the entire structure over the line, meaning remote sellers would once again be able to sell tax-free? Is it worth it for local governments seeking this additional revenue to risk losing it all? Another category of open questions surrounds what could be considered “other” local taxes. Utility taxes, hotel occupancy taxes, amusement taxes, and the like. Generally speaking, physical presence in the state has been a prerequisite for requiring a vendor to collect these taxes. That may no longer be constitutionally required. But—these taxes, particularly when taken all together, are an even bigger mishmash of standards, definitions, etc., and are not included in the Streamlined Agreement. What should the new standard be for requiring a vendor to collect other categories of tax? For state and local governments, the good news is that they may now be able to collect more of the taxes due and owing; the bad news is that they may have to revise their tax structures to do so. For retailers, the good news is that brick-and-mortar sellers are on a more level playing field with their remote-selling counterparts; the bad news is that the task of acting as a state’s tax collection agent is a complicated one, and mistakes can be costly (collect too much, you can be sued by class-action plaintiffs; don’t collect enough and you will be liable for the tax yourself on audit and can also be sued by professional whistle-blowers—a future issue of Tax Facts will address these topics). For consumers, the good news is that those of us who have been paying the correct tax are no longer in the minority; the bad news for those who have not been paying the proper amount of tax is that they can no longer skirt the law. For tax policy wonks, it is all good news—we have a new Supreme Court decision to decipher. We have a host of new questions to wrestle with, and it will probably take years to resolve them. The Supreme Court, in a footnote to the Quill decision, commented on “the Nation’s 6,000 plus taxing jurisdictions” and the “many variations in rates of tax, in allowable exemptions, and in administrative and recordkeeping requirements [that] could entangle [a mail-order house] in a virtual welter of complicated obligations”. In response, in 1999, the National Governors Association and the National Conference of State Legislators formed what was then called the Streamlined Sales Tax Project. The group’s mission was to develop a sales tax system that was less complex, levelled the playing field for merchants, and addressed the loss of revenue from states inability to collect taxes already imposed. The hope was that this would be enough to overcome the Supreme Court’s concerns. Forty-four states, local governments, tax practitioners, and businesses participated. (Illinois’ delegates included State Representative Barbara Flynn Currie, then-president of the Taxpayers’ Federation of Illinois Tim Bramlet, and then-president of the Illinois Retail Merchants’ Association Dave Vite.) The group’s efforts led in 2002 to the Streamlined Sales and Use Tax Agreement. A state wishing to become a party to the Agreement must certify that its tax code meets a number of requirements, including those cited approvingly by the Wayfair decision and discussed in this article. Although the Illinois delegation was influential in shaping aspects of the Agreement (the use of a lower tax rate on groceries, for example, is permitted), and our tax code has been revised to align more closely with the Agreement (our definitions of food and candy, for example), significant differences between Illinois’ system and that required of parties to the Agreement remain, and today Illinois is not a “Streamlined” state. The physical presence nexus standard in National Bellas Hess and Quill was a bright-line answer to the question of what, exactly, is “substantial nexus”, the first prong. For decades very few sales tax collection cases addressed the others. Now, after Wayfair, these other prongs may once again be relevant in this area. See, for example, NPR Illinois; Crain’s Chicago Business; and Chicago Tribune. 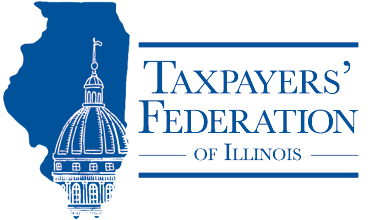 This issue was summarized in TFI’s January/February 2015 issue of Tax Facts, Illinois Use Tax Collection: One Small Step, but in Which Direction? Sales Taxes; States Could Gain Revenue From Expanded Authority, But Businesses are likely to Experience Compliance Costs, USGAO, November 2017, This is an excellent report, covering this topic from a variety of angles. It’s Time to Talk About Modernizing Illinois Taxes on Retail Sales, Illinois Municipal League Review Magazine, January 2018. Not only are there a host of jurisdictions (the Tax Foundation has estimated over 10,000) with ever-changing rates, the taxability rules vary dramatically, sometimes within states. Even determining a specific address’s jurisdiction (which in some, but not all, states is relevant to determining which local tax to apply) can be tricky—zip code plus 4 alone is frequently inadequate. And of course the paperwork—what information is necessary to substantiate an exemption; where, when and how to file tax returns and remit the collected tax; and so on. See Illinois Taxation of Retail Sales; a Primer and Some Problems, by Dr. Natalie Davila, TFI’s October 2017 Tax Facts. Illinois is not alone in asking this question. Each of the 45 states with a sales/use tax in place, other than South Dakota of course, is reviewing that tax structure in light of the Wayfair decision. Legislation is being introduced, new regulations considered, and existing laws and rules are being re-evaluated. See, for example, Potential Impact of the Streamlined Sales and Use Tax Agreement on Illinois, Civic Federation, October 18, 2004. In addition, the Tax Institute of the Illinois Chamber of Commerce organized a coalition of interested groups and businesses (although no final report was issued), and the Department of Revenue conducted considerable analysis and drafting of potential legislation. Online Shopping Court Decision Brings Uncertainty to Illinois, NPR Illinois, June 2018.